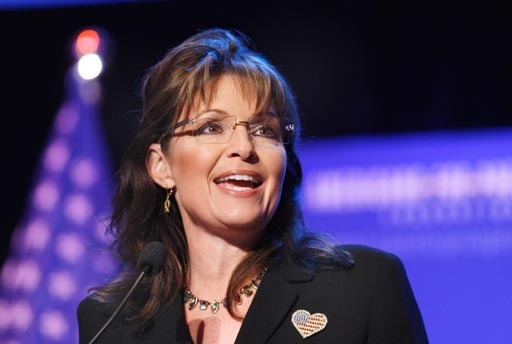 Sarah Palin Gets Surprise Nod On TV Guide's First-Ever "Power List"
NEW YORK (CBS) What does Tea Party rabble-rouser Sarah Palin have in common with actor Neil Patrick Harris and "CSI" creator Jerry Bruckheimer? PICTURES: TV Guide's 2010 "Power List"
The three are key figures on TV Guide Magazine's first-ever "Power List." A diverse rundown of TV icons who prompted the biggest water cooler convos, heartiest laughs or just out-and-out tugged at the fabric of American culture in 2010. Palin got a nod through making major noise on TV with her turn as a Fox News Channel contributor and star of TLC's upcoming series "Sarah Palin's Alaska." When asked if she will commit to a full-time TV role if she doesn't run for President in 2012, she tells TV Guide, "Don't know. But I'll seize the opportunities to get truth out to Americans so good decisions may be made on behalf of our families, our communities and our nation." Ryan Murphy of FOX's "Glee" knows the impact of television: "In this show, people see characters who are like themselves and move their agendas, beliefs and fears forward," he tells TV Guide. "That, to me, is influence." Other figures also noted in the most influential group include Apple tycoon Steve Jobs, "American Idol" judge Simon Cowell as well as a slew of top-notch producers and programming developers in the world of TV. The full list will appear in the June 21 issue of TV Guide Magazine, on newsstands Thursday, June 17.